Junior Seraphin (pictured right) is the Assistant Manager and Trainer for PWW’s WASH (WAter, Sanitation and Hygiene) Training and Consulting Services Department in Haiti. He started working with PWW in January of 2009 as a filter construction technician. In June 2009, he took the role of bio-sand filter installation technician. He moved into the role of Project Coordinator after several years of training from PWW’s partner, the Center for Affordable Water and Sanitation Technologies (CAWST). 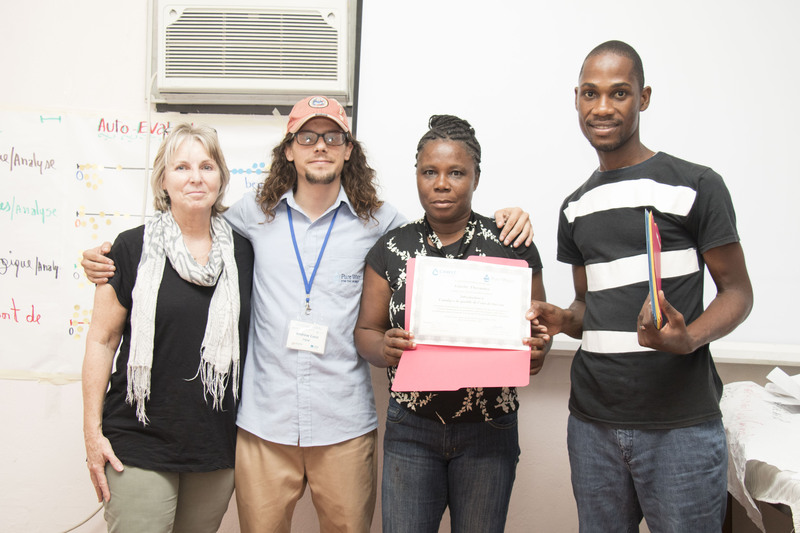 Today, Junior is certified as a trainer, co-trainer, and water quality analysis technician. With certifications and new job titles, Junior has gained more responsibilities. Between updating documents, responding to emails, performing lab tests, and preparing for trainings, Junior’s typical work day can be quite hectic and demanding. However, even on his busiest days, Junior continues to find inspiration from his work and his coworkers. Junior (right) with team members completing a training. “The harmony and understanding in communication among PWW employees inspires me and makes it easy for all of us to continue the sharing of new knowledge and understandings,” Junior shares. Along with finding inspiration in his co-workers, he also finds inspiration in himself. 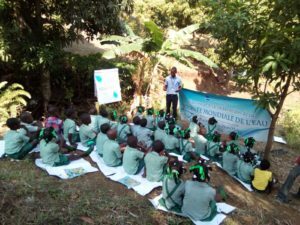 His self-determination and contributions to the provision of safe water, sanitation and hygiene for Haitians constantly inspires him in his day-to-day work. Junior has also observed the impact that PWW has on Haitian communities. “I have seen this impact both in quality and in quantity. People tell me that the filters and trainings that PWW has given them have changed their lives by reducing waterborne illnesses in their families and communities,” Junior says. Junior also sees the impact when these communities are able to maintain their filters and protect their water, over the long-term. Junior conducting a training with students at a community school on World Water Day 2018. 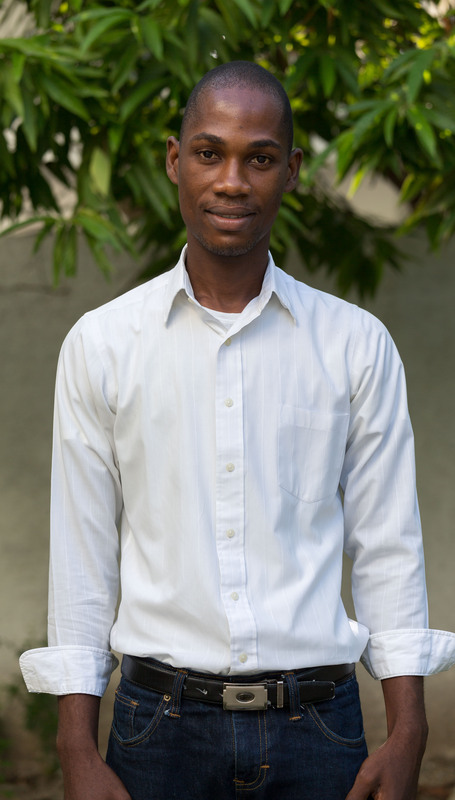 “I believe that the fight for clean water in Haiti is a fight for the majority of the Haitian population,” Junior explains, as 42% of the Haitian population does not have access to clean water and more than 50% of the population must walk for over thirty minutes to obtain clean water. He feels good that PWW’s work will continue to positively impact the people of Haiti. Uncategorized #PWW Staff, Haiti, Staff Spotlight. permalink.